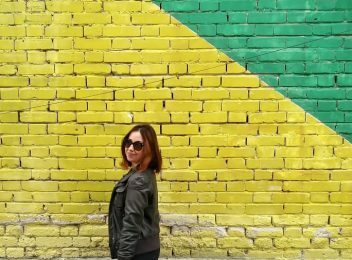 Are you ready to join one of the most-anticipated musical events in Albania? From May 31st to June 3rd, one of the biggest electronic music festivals of the year will bring more than 60 DJs from around the globe to the shores of the legendary Shëngjin Beach. 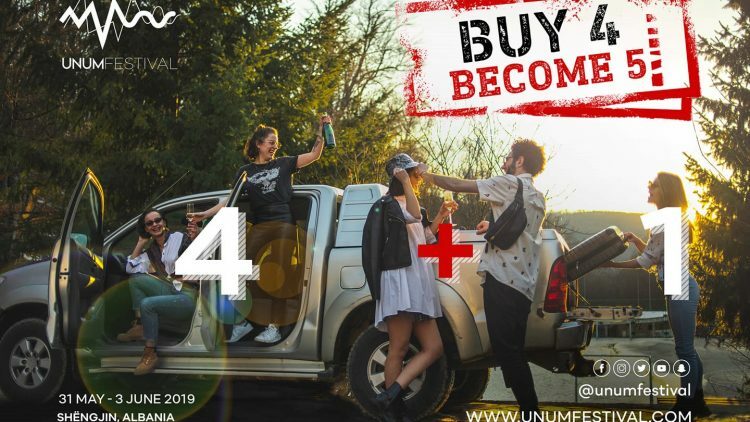 UNUM Festival launches the official beginning of the touristic season in Albania. Organized by a team of Kosovar and international experts, in cooperation with the Ministry of Tourism and the Environment, the festival is bound to fire up the Shnëngjin shore for four entire days and nights. More than 10,000 electronic music fans are expected to join this year’s edition. “Rana e Hedhun” Beach, one of the festival’s locations. Photo by IntoAlbania. More than 60 renowned DJs from all over the world will get to play their brand of electronic, techno and house music in the three stages of the festival, perfectly set up by the pine forests, seashore and mountain. 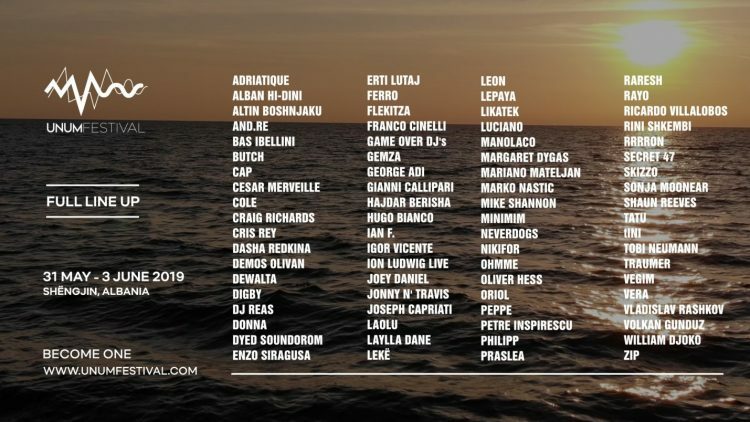 A boat party will take place for the entire four-day duration of the event where, among many other famous names, Joseph Capriati, Luciano and Ricardo Villalobos will perform. More than 10,000 festival participants will transform the Shëngjin shore into the touristic capital at the turn of J. 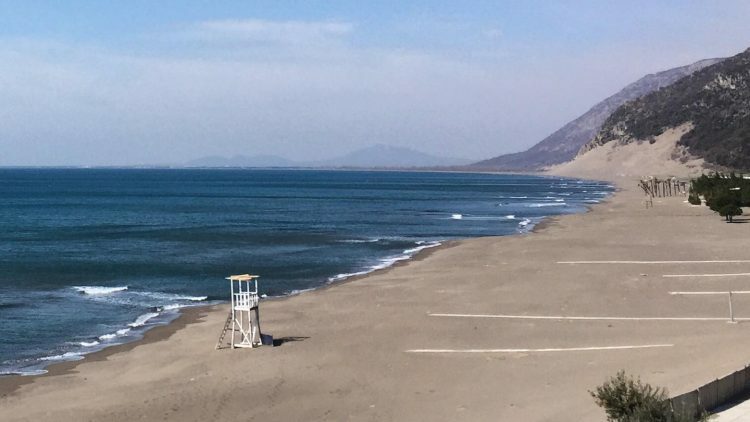 The wonderful “Rana e Hedhun” Beach, with its iconic golden sand and pristine shoreline, will be flooded by people from around the globe ready to party it up from dusk till dawn. Many will also use this opportunity to discover more of this beautiful region! 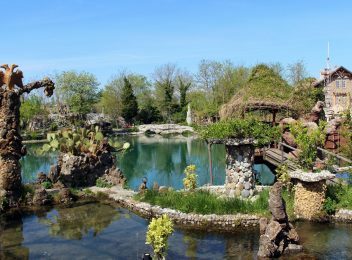 The festival organizers have created a variety of ticket packages with international and local participants in mind and in cooperation with the best accommodation options in the area, including hotels and guesthouses around Shëngjin. Map of hotels. Photo source: unumfestival.com. 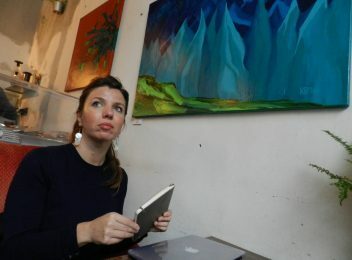 The four-day pass for the festival costs 139 Euros and includes full access to the entire festival as well as transportation in the festival bus. Please check for availability, as terms may change depending on the time of purchase. 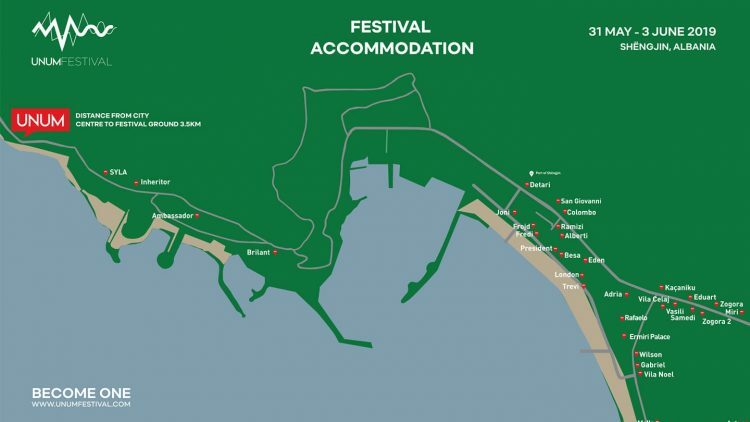 Other ticket offers start from 239 Euros and include accommodation for all three nights of the festival, transportation to and from the airport, and transportation on the festival bus. For those interested in UNUM’s exclusive offers, which include more customized accommodation options, please click here. UNUM’s most popular special offer is by far the 4X5 where, for the price of four, four-day tickets, a fifth friend gets to come to the festival for free! What better way to get a bigger group together and save money! Official poster from the event. Photo source: unumfestival.com. The end of May and beginning of June coincide with the official start of beach season in Albania. As such, festival participants will get to enjoy one of the best beaches of the Adriatic coast for the entire duration of this event. It is also worth keeping in mind that UNUM takes place in Lezha, the country’s mecca of contemporary cuisine. There are many taverns, restaurants and farm-to-table places to choose from but, for starters, here is our selection of the best gastronomic experiences available in this region. The security standards of the festival are very high: all participants will be required to wear the event’s bracelet and no outsiders will be allowed on the premises. UNUM has made this part easy for you. Please visit unumfestival.com or residentadvisor.net and you will find all the transportation options to and from the event.